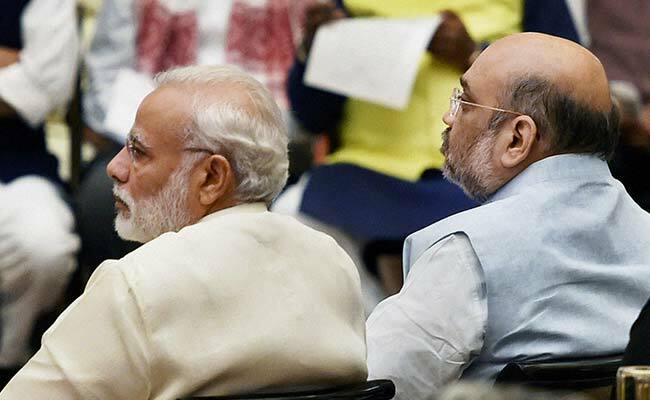 Since Narendra Modi became prime minister, the BJP and its allies have lost 9 seats, retained seven and not managed to gain a single additional seat. New Delhi: As if Thursday’s results to the four parliamentary and 11 state assembly constituencies across the country was not bad enough news for the BJP, party managers need to consider another alarming statistic from all the Lok Sabha by-elections held since the time Narendra Modi swept to power: the Bharatiya Janata Party and its allies have not managed to add a single new seat to the impressive tally of 336 they recorded in May 2014. The BJP alone won 282. Today, it is down to 271 elected MPs – 273 if we include the two nominated ones – while the NDA is at 327. 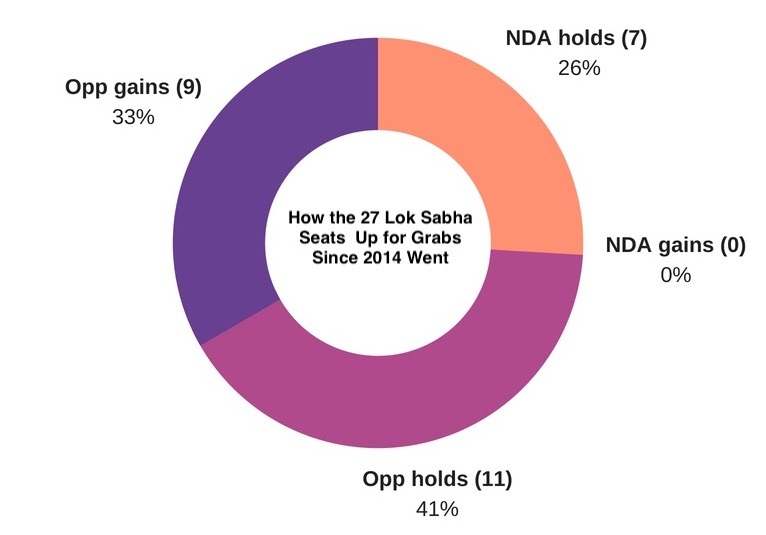 By contrast, the opposition – still lacking the coherence to be considered united – has not only held onto every single seat for which a by-election has been held but has even managed to win nine seats – eight from the BJP and one from an ally of the saffron party. The opposition parties which have managed to add to their seat tally over the past four years have all managed to do so by fighting not each other but the BJP: Congress has gained four seats, the Samajwadi Party two while the Nationalist Congress Party, Rashtriya Lok Dal and National Conference have gained one each. 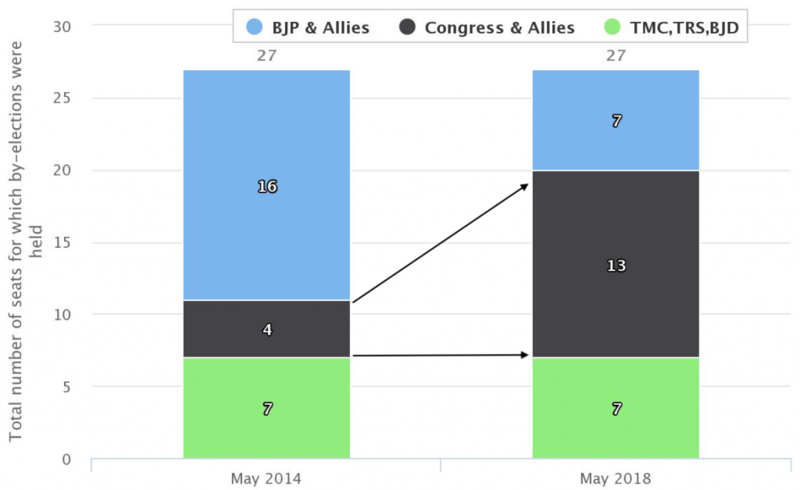 While the BJP/NDA majority is still comfortable, the trend line is likely to be a cause for worry for several reasons. For one, it suggests the “Modi wave” might have reached its high water mark in 2014, stayed at a high level till November 2015 when the BJP lost its first seat in a by-election to the Congress – Ratlam in Madhya Pradesh, and is now in retreat. In all, the BJP and its allies have lost nine seats. Secondly, all of the BJP and NDA’s losses have been to the Congress and its allied parties – the SP, RLD, NCP and NC – who held four of the 27 seats in May 2014 but now have 13. Thirdly, the non-BJP, non-Congress camp – represented as far as the 27 by-elections are concerned by the Trinamool Congress, Telangana Rashtra Samiti and Biju Janata Dal – have held their own ground despite the BJP making inroads in at least Odisha and West Bengal. In Telangana, the TRS’s main rival is still the Congress but electoral logic may well impel the TMC and BJD to enter into an arrangement with the Congress for 2019. There are other markers of Modi and the BJP’s declining hold over the national electorate, such as the percentage of votes the party has polled in state after state following 2014, as well as its victory margin for those seats it has held on to in the Lok Sabha.